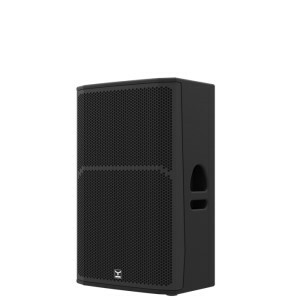 Designed to deliver nothing but high performances the series incorporates 12” (3in) and 15” (3in) midbass transducers with high power handling capabilities combined with a 1.4” (2.56in) Neodymium driver coupled to a CD horn to ensure a precise audience coverage, improved sound quality and outstanding speech intelligibility. The dispersion of the CD horn is symmetric and rotatable 90°x60° or 60°x90° in order to keep the same coverage in case of horizontal use as the DLP enclosures offer a monitor wedge shape in case of use as a stage monitor. 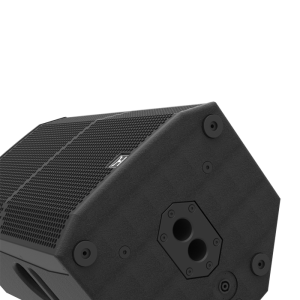 For an easy and flexible operation the DLP speakers offer 2x NL4 on the back and 1x NL4MPR on the bottom to facilitate wiring in stage monitor applications. 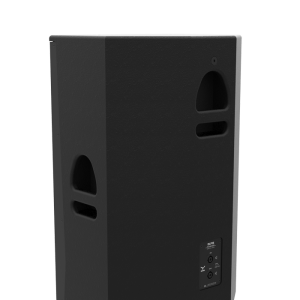 A SM7DT pole mount flange on the bottom allows a 0° and 5° horizontal tilt for loudspeaker cabinets on speaker stands in a way that the dispersion of the high frequencies can be controlled and adjusted according to the location and application. Additional mounting hardware such as a “U” bracket is available to allow both vertical and horizontal permanent installation. 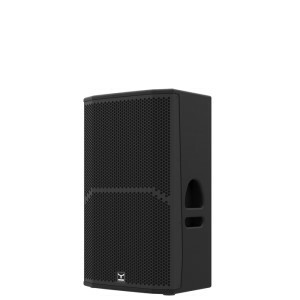 As a true multipurpose speaker the DUAL PRO speakers are usable as standalone full range system, compact stage monitor or as a mid-hi unit in combination with a subwoofer, designed to suite various fields of application because of its strength and performing capabilities.